... and why does it matter to me? Healthcare, and more specifically, healthcare funding, is an increasingly politicised area and this considerably impacts the business environment in which the industry works. However, as in most areas of politics and policy, the individuals who are responsible for shaping and implementing policy have different priorities from those of the industry. Often, they also lack insight into the implications that policies can have on business. Unfortunately, such imperfect understanding can sometimes mean that policy may not be effective, or that it may have unexpected or unforeseen consequences. To counterbalance this, industry needs to engage with policymakers to make its case and ensure that any impact, positive or negative, is factored in. This is particularly true of the pharmaceutical industry, which has had a mixed role in Europe, historically. On one hand, this industry produces life-saving medicines to enhance the health of Europe's citizens; on the other, it provides substantial amounts of economic strength and high quality employment, as well as much inward investment in research and a healthy contribution to Europe's trade balance. Managing these multiple facets requires engagement with a broad cross section of European institutions, including numerous European Commission Directorates such as Health, Enterprise, Internal Market, Trade, Employment, as well as the European Parliament and its relevant committees. Further, there are still more stakeholders active in the field of health. It is unrealistic for policy makers to engage individually with each manufacturer, both in terms of time and the fact that policy makers need to think in terms of broad consensus. The industry trade association provides that representation of consensus. For the research-based pharma industry, this is the role of the European Federation of Pharmaceutical Industries and Associations (EFPIA). 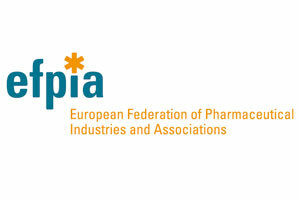 EFPIA represents 40 pharmaceutical companies and 32 national associations to the EU institutions and stakeholders, giving a voice to more than 2,000 companies. It provides a place where companies that are normally implacable competitors can leave their weapons at the door and agree a position that is to the benefit of, or of the least harm to, the entire industry. It provides a body that can represent the interests of the industry as a whole. This association is one of the largest of its kind in Brussels, with substantial policy expertise in its ranks. It is organised around a number of main priorities, including; Intellectual Property, Economic and Social, Scientific and Regulatory, External Trade and Emerging Markets. It also provides coordination for industry codes of conduct and industry reputation issues. EFPIA has two specialist groups to address specific issues. The European Vaccine Manufacturers (EVM) covers vaccine topics, while European Biotechnology Enterprises (EBE) deals with the needs of biopharmaceutical sector companies. The value of a strong trade body was highlighted recently when the industry was accused of stifling generic market entry by DG Competition. EFPIA did an enormous amount to help to rebut the accusations, meeting with staff across all Commission Directorates to demonstrate the reality of the situation and providing facts and data to support industry positions. Although representing the industry to the institutions can be presented simply as lobbying, trade bodies like EFPIA provide much more than that; they provide a presence and continuity to the relevant discussions, in a city that lives and breathes policy debate. They are also actively involved with other European organisations, ranging from patient groups, doctors, pharmacists and health insurers to more general bodies like Business Europe. This constant networking allows agendas and priorities to be shared and understood, plus formal and informal alliances to be created. Furthermore, by being involved with some of the more ethereal debates at the earliest stages, the EFPIA secretariat can be an invaluable resource to its membership. It can provide horizon scanning on pending policy developments, gather intelligence and track trends and legislation. Perhaps most importantly, it gives the main institutions of the EU a human interface. The policy conversation in Brussels never stops; it continues whether or not you take part. EFPIA makes sure that its members know what is said and allows their voices to be heard when and where they are needed.